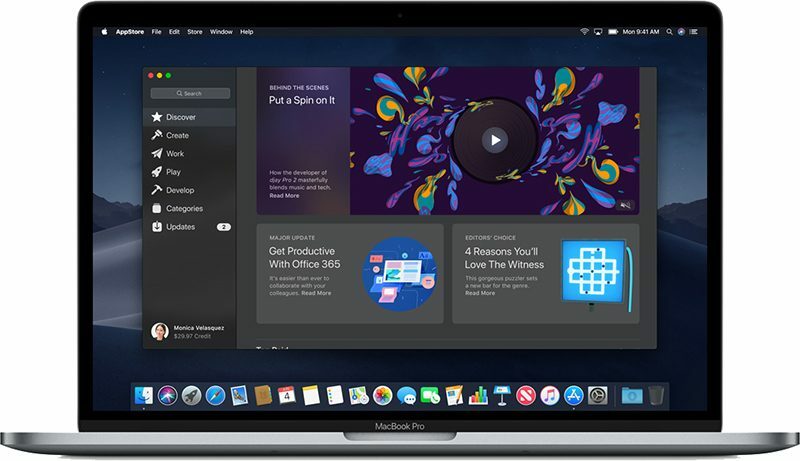 Apple today seeded the fourth beta of an upcoming macOS Mojave update to developers for testing purposes, two weeks after releasing the third beta and more than a month after introducing the software at the Worldwide Developers Conference. macOS Mojave introduces a new method of installing software updates, so after you've installed the appropriate profile from the Apple Developer Center, additional betas can be downloaded clicking on the Apple in the menu bar, choosing "About This Mac" and clicking "Software Update." Alternatively, open System Preferences and choose the "Software Update" icon. Today's beta is available for the 2018 MacBook Pro, so those who have purchased one of Apple's machines can now try it with macOS Mojave. The macOS Mojave update brings a long-awaited systemwide Dark Mode, with Mojave users able to choose between a light theme or the new dark theme, which changes the color of the dock, menu bar, apps, and other elements. Dark Mode is accompanied by Dynamic Desktops, aka wallpapers that subtly change throughout the day. 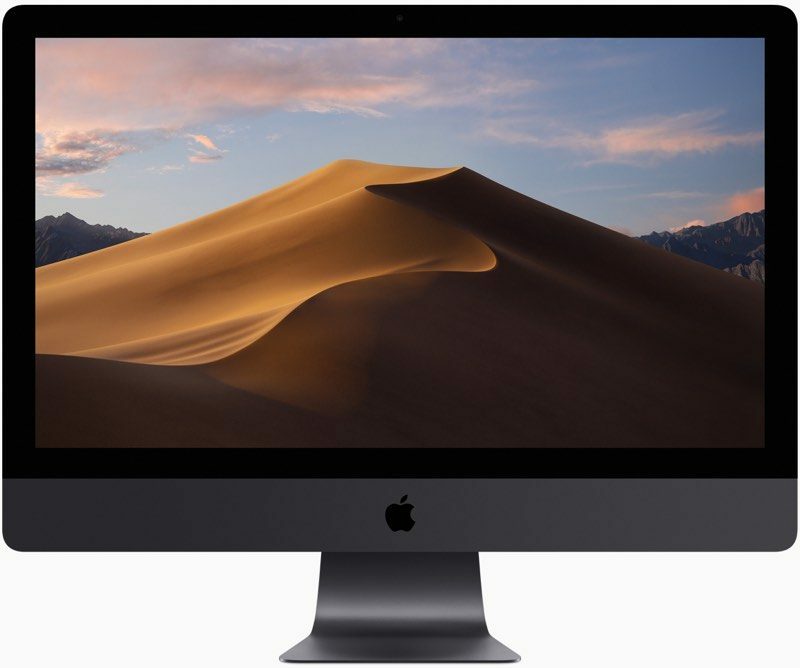 Update: macOS Mojave fixes the bug that prevented Dynamic Desktop from working while in Dark Mode, and it introduces a new Solar Gradient dynamic wallpaper option. I hope this fixes a couple of bugs I am experiencing related to Dynamic Desktop and Login. have you seen Mojave dark mode in any of your systems? Color me surprised. Maybe iOS 12 Beta 4? soon?! It's so good to have the software update at the System Preferences, isn't it? Always hated the software update at the MAS. That was a mess! I'm wondering when they'll make something about updates size. I don't care for dark mode as it's incomplete in my view. I'll stay away from it until all apps including Safari adopt it system wide. You get blinded switching from dark mode to Safari or another app. Upon further diagnosis, I realise that I cannot use # character in the password anymore, I tried using ! and that worked. So definitely some bug. Will report. Interesting. I typically install over the top of whatever is existing (High Sierra in this case), then once GM is out I back up and reinstall over a clean disk/OS. Good to know! Weird bug. Can't install it on my 2018 MBP 15. Keep getting an error message about "important content could not be downloaded at this time." Be careful when trying this... remember that the iMac Pro with the T2 chip requires another Mac in order to restore it should you need to. I've not read anything on our 2018 MacBook Pros requiring it as well, but I'm not willing to try just yet.